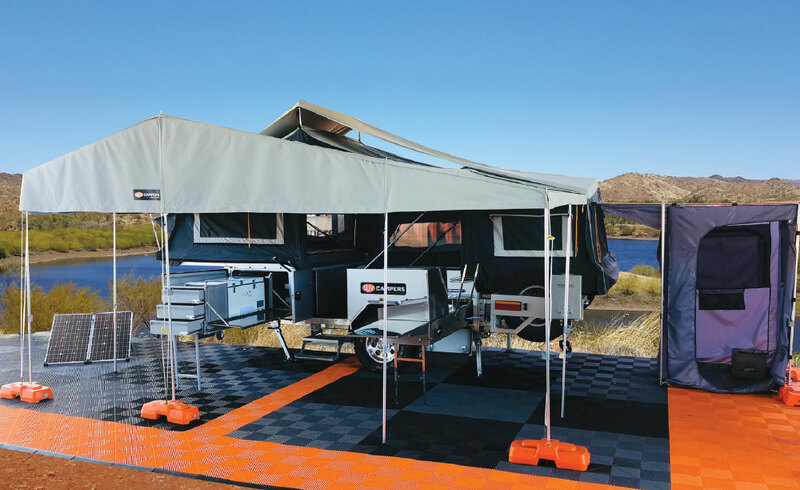 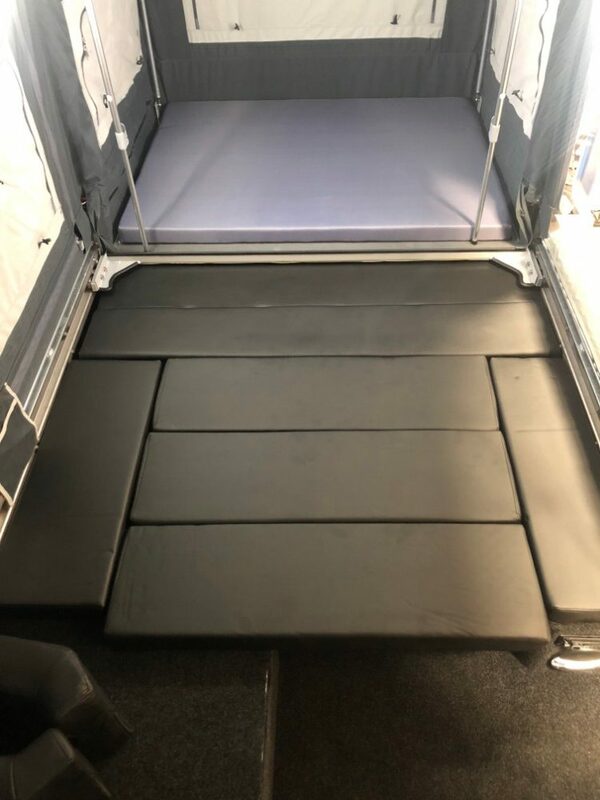 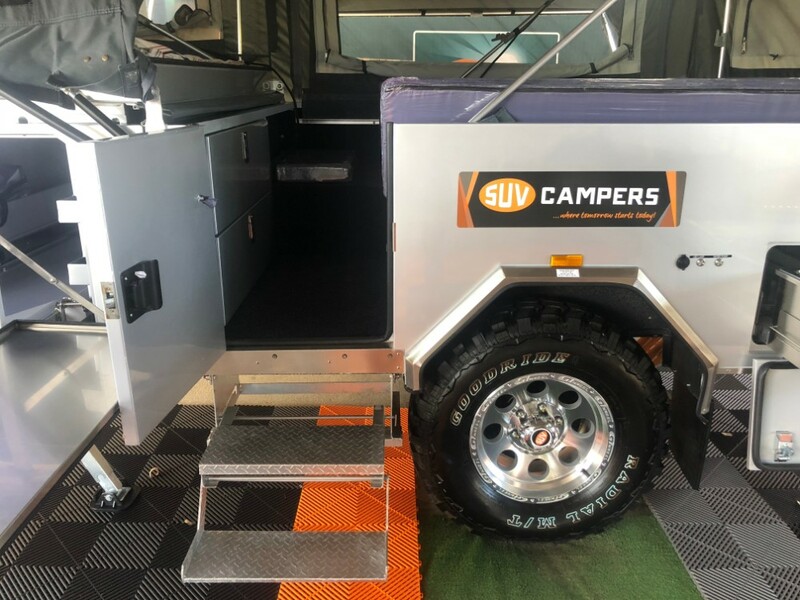 The SUV Grand Slideout is a market leading 6-Berth heavy duty Camper designed for the larger family with plenty of room for everyone, even including the family dog! 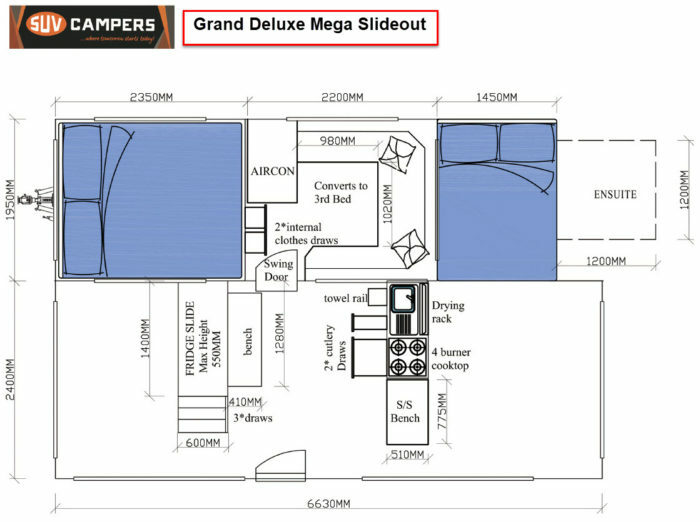 The easiest to use and most innovative family size camper on the market, this is one the family will grow into and not out of. 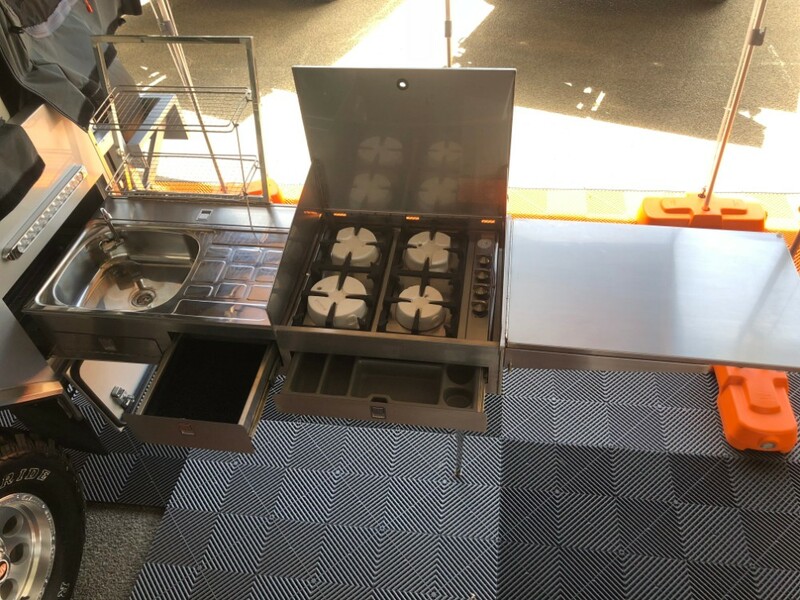 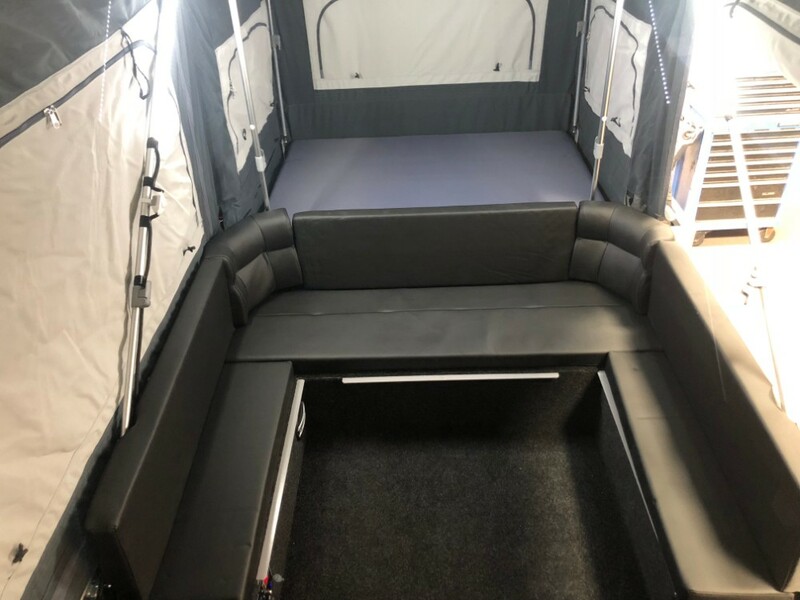 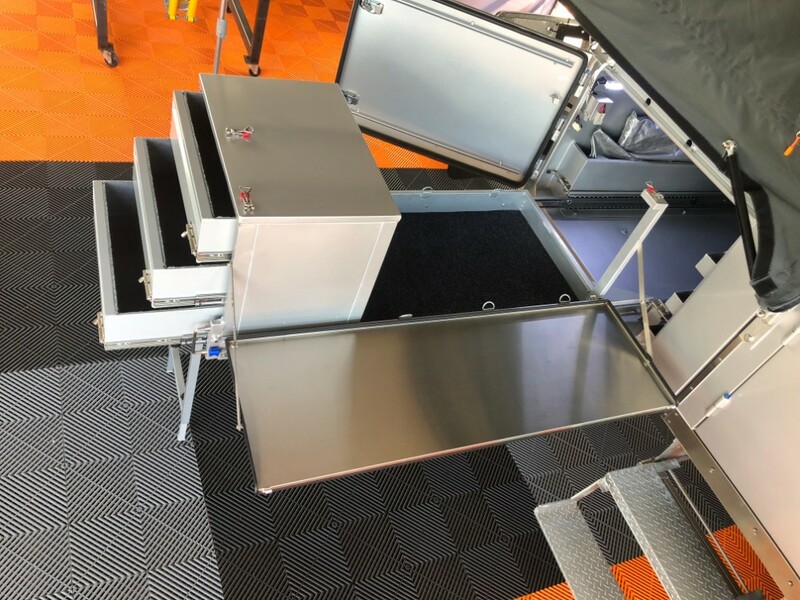 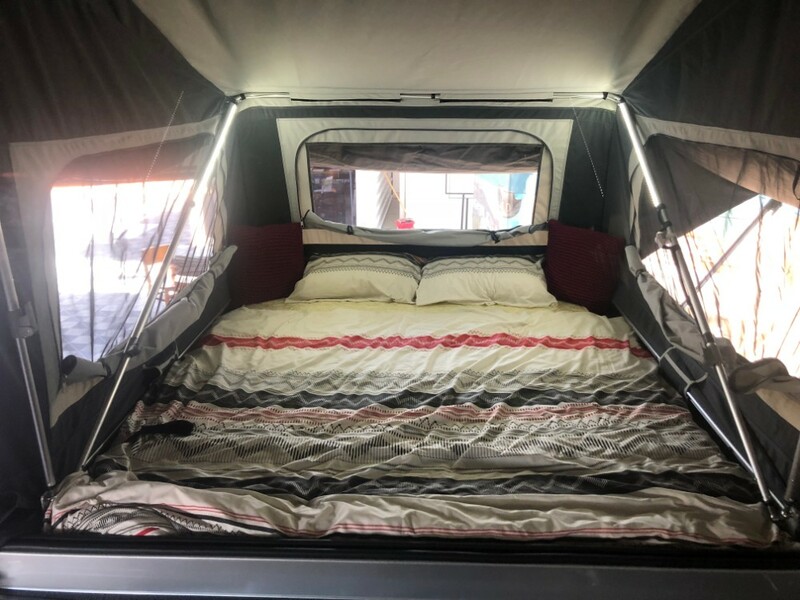 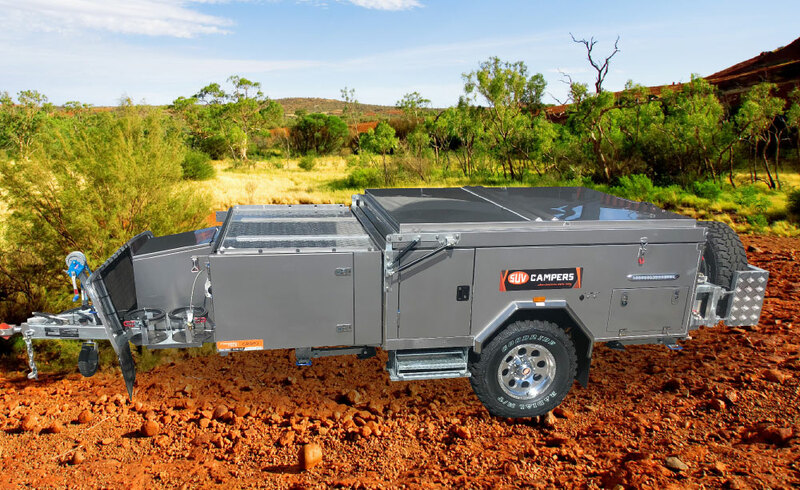 All this with the SUV fully integrated Reverse Cycle Air Conditioning to provide you with the ultimate year round camping comfort and greatly extend your camping season.Stay warm out west in winter and sleep wonderfully in the cool air in Summer.